Suitable for interior wooden flooring where an R11 high anti slip resistance is required. Osmo Polyx® Oil Anti Slip - 3089 Clear Satin (R11 Rating) is suitable for interior wooden flooring where a high anti slip resistance is required such as bathrooms, kitchens, ramps and wooden sloped surfaces. Osmo Polyx® Oil Anti Slip - 3089 Clear Satin (R11 Rating) uniquely combines the advantages of natural oils and waxes in one product. Resistant to dirt and water abrasion, this coating will enhance the grip qualities of your wood without compromising on looks. Osmo Polyx® Oil Anti Slip - 3089 Clear Satin (R11 Rating) is ideal for stairs, hallways or other areas where a high slip rating is required. Formulated for use with floors made from solid wood, such as plankwood flooring, blockstrip, OSB and cork where enhanced slip resistance is required. Osmo Polyx® Oil Anti Slip - 3089 Clear Satin (R11 Rating) will provide a fine texture suitable for barefoot and delicate pets paws. Suitable for wood floors only, this microporous surface does not crack, peel, flake or blister. Suitable for kitchens and resistant to wine, beer, cola, coffee, tea, fruit juice, milk and water according to DIN 68861-1A without any water spots. Also suitable for coating wooden children toys as per EN 71.3. Wood surface must be clean, dry and frost free with a moisture content under 18%. Do not thin. Stir well before use. 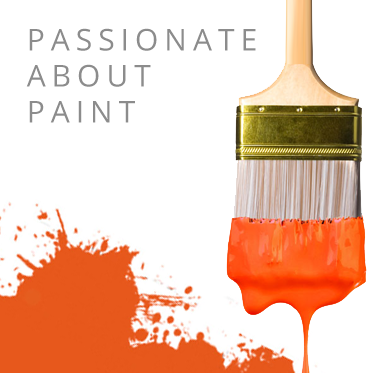 Old paints and lacquers must be completely removed. Fill any small cracks, larger joints or holes with Osmo Wood Filler. Sand wood as per data sheets. Apply thinly and evenly to the clean and dry wood along the wood grain with Osmo Natural Bristle Brush, Osmo Microfibre Roller or Osmo Floor Brush 150 mm, and spread well. Allow to dry for approx. 8-10 hours with good ventilation. After drying, quickly apply a second coat also thinly. When renovating an already oiled surface, one coat applied to the clean and dry surface is usually sufficient. Note: Osmo Polyx® Oil Anti Slip - Satin Matt 3089 (R11 Rating) cannot be evened out with a single disc machine with a white pad. Hardwax-oil finish retains the natural character of the wood, is microporous and does not crack, flake, peel or blister. Clear oils can darken the appearance of the wood. To retain the light character of the wood, use Osmo Polyx®-Oil 3044 Raw. Application of second coat can be done as soon as the first coat has dried. However, it is important to wait approx. 24hrs when applying colour for the first coat, before applying Osmo Polyx®-Oil Anti-Slip as the clear top coat. Retains the natural raw appearance of sanded wood by using a small amount of white pigments. A non-acrylic and water-based multi-purpose edge-filler, wood putty, crack filler and sanding sealer all in one.